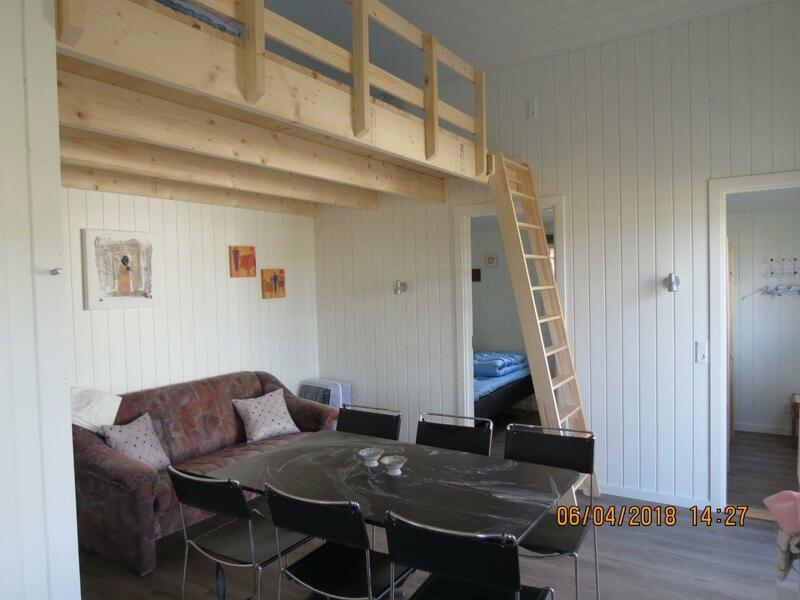 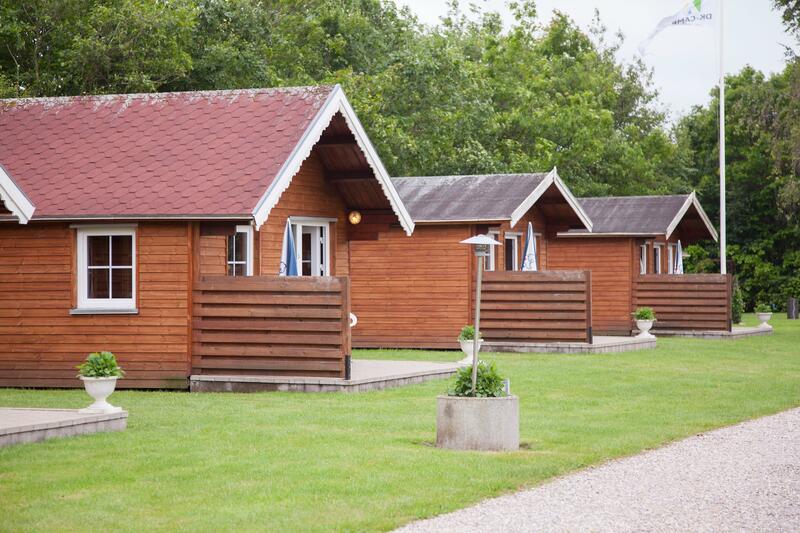 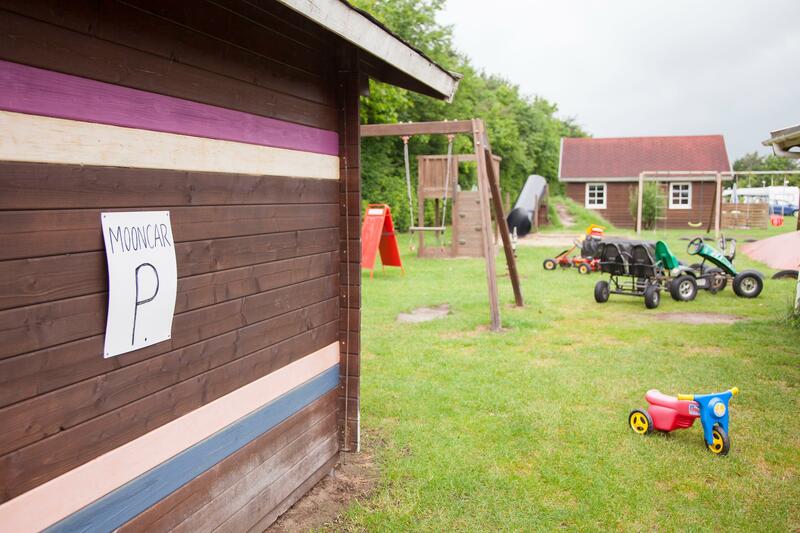 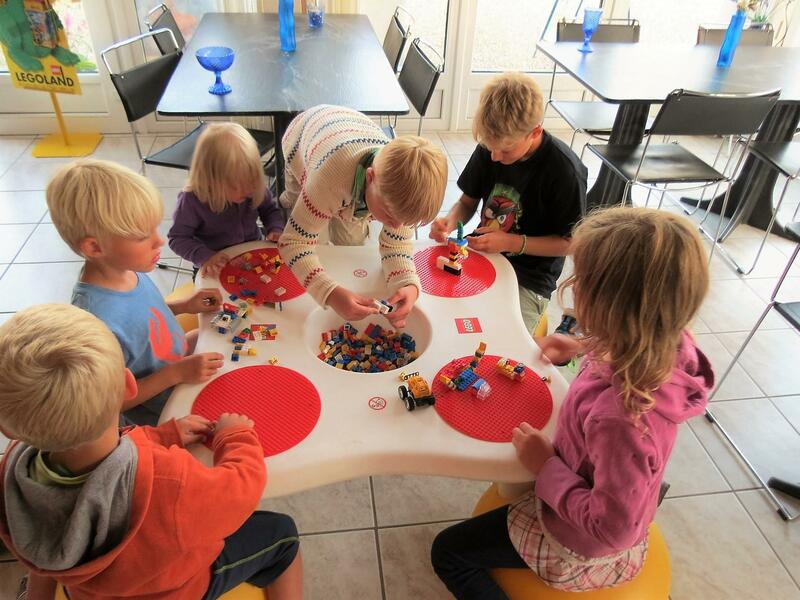 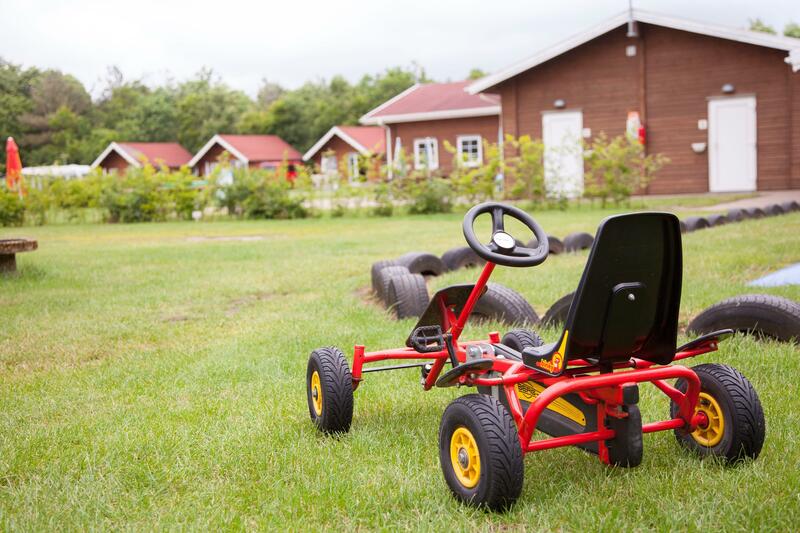 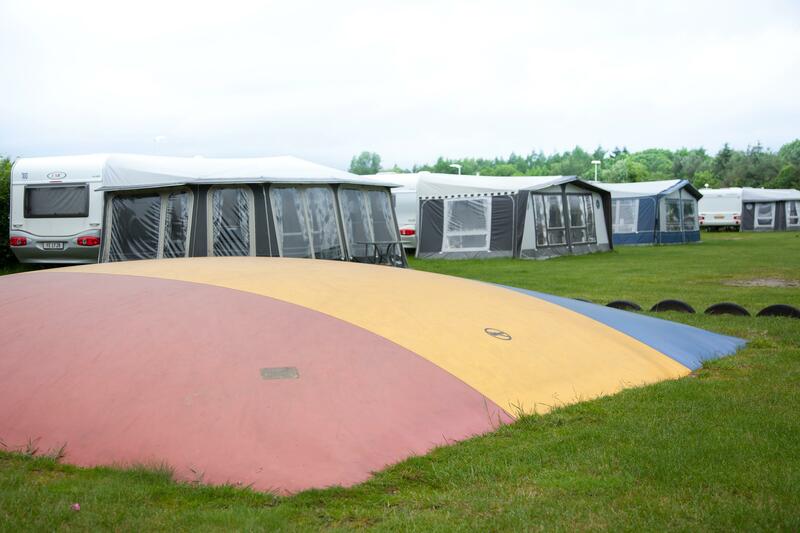 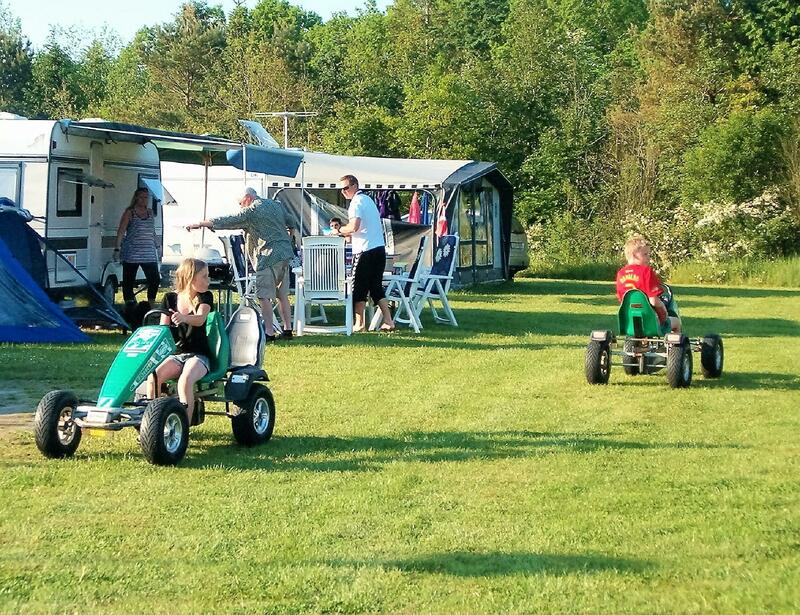 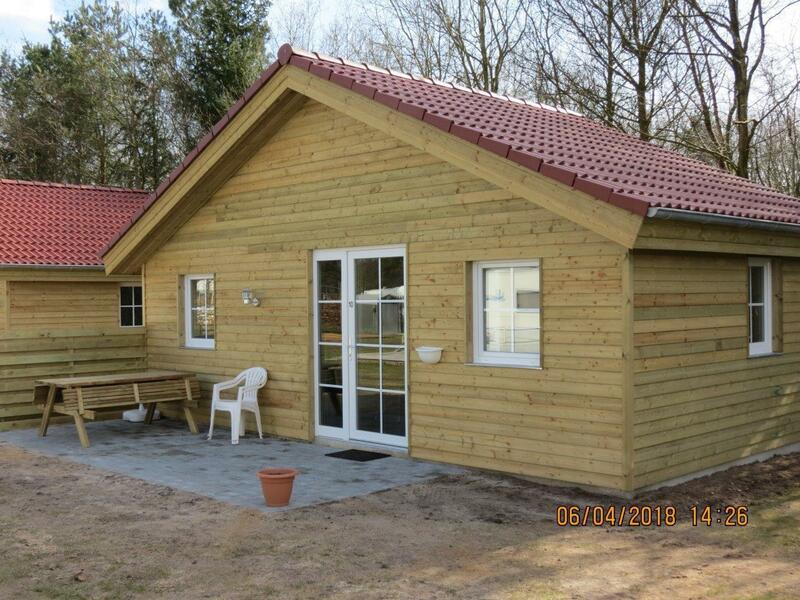 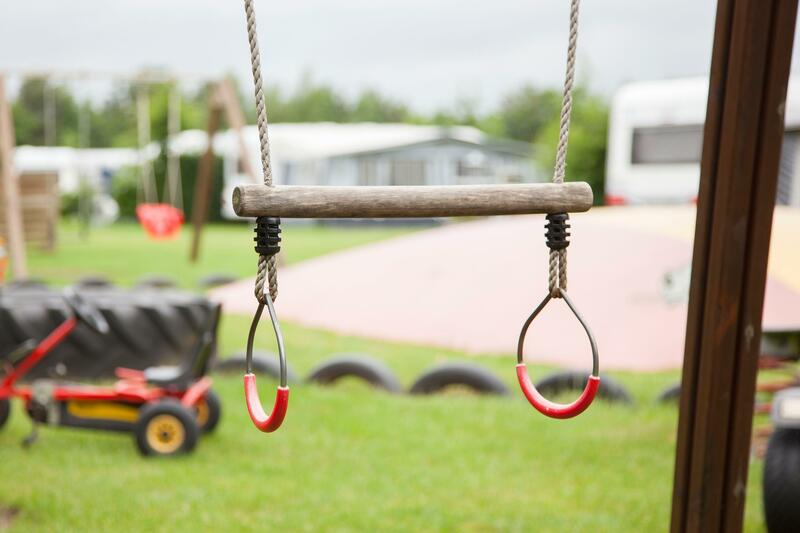 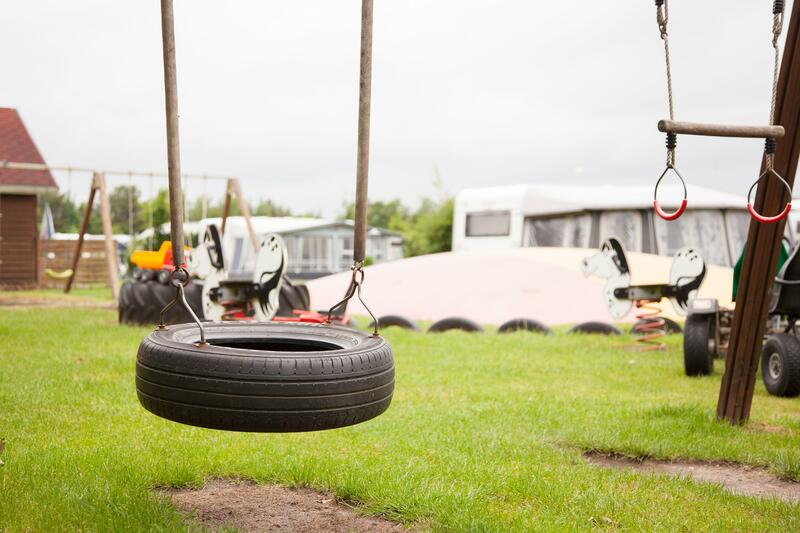 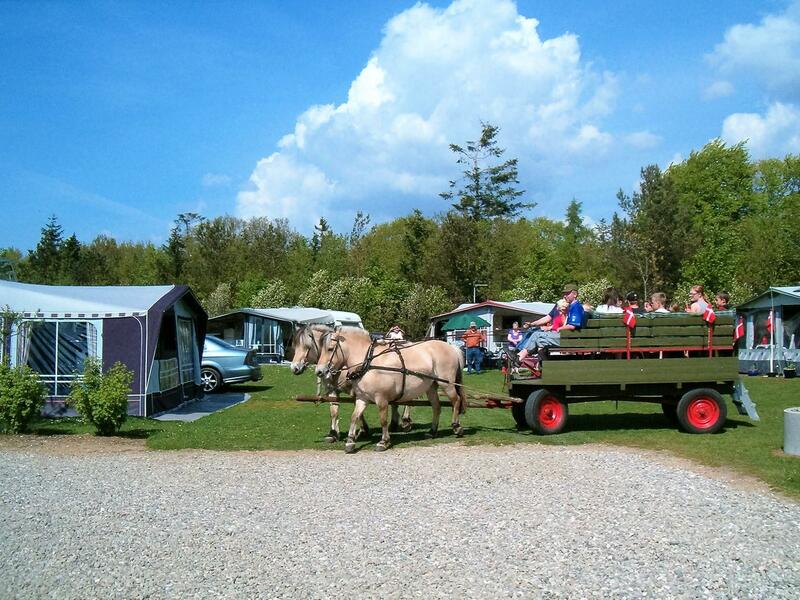 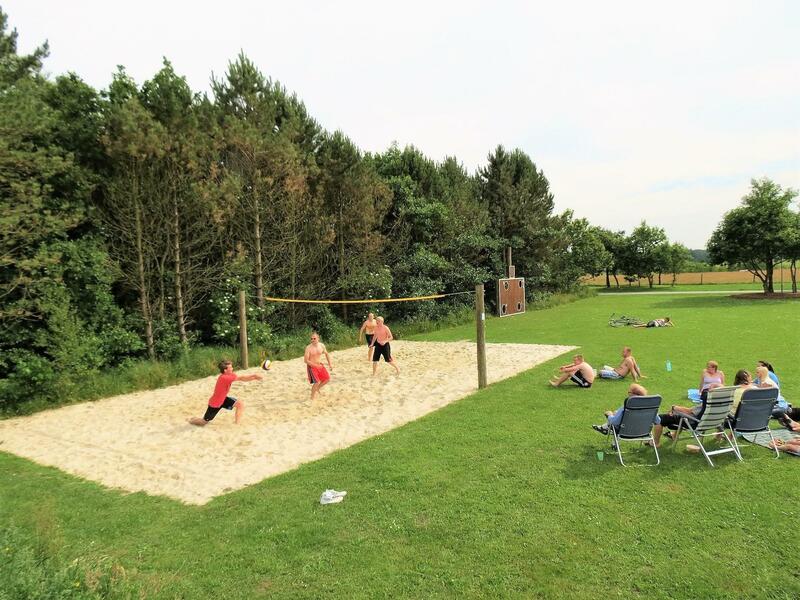 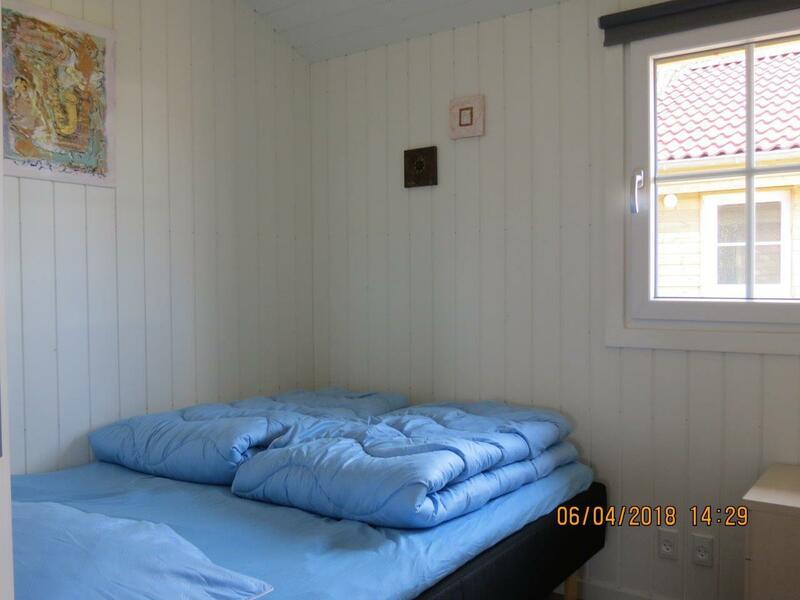 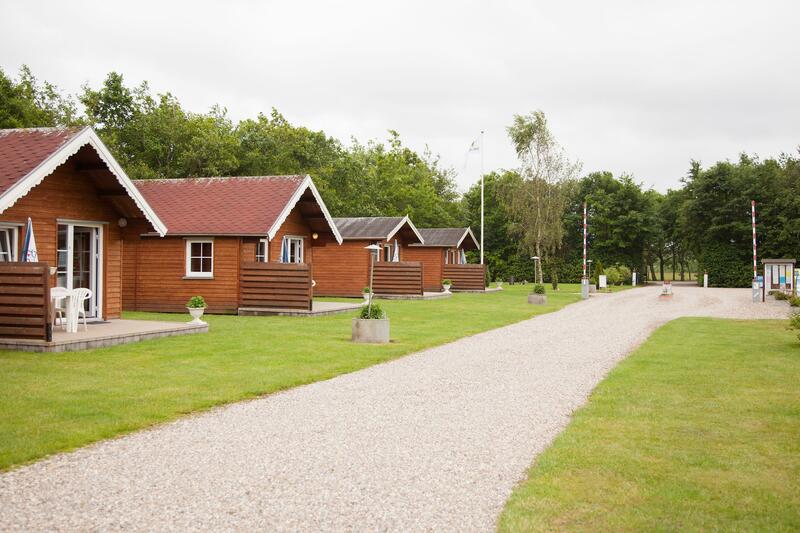 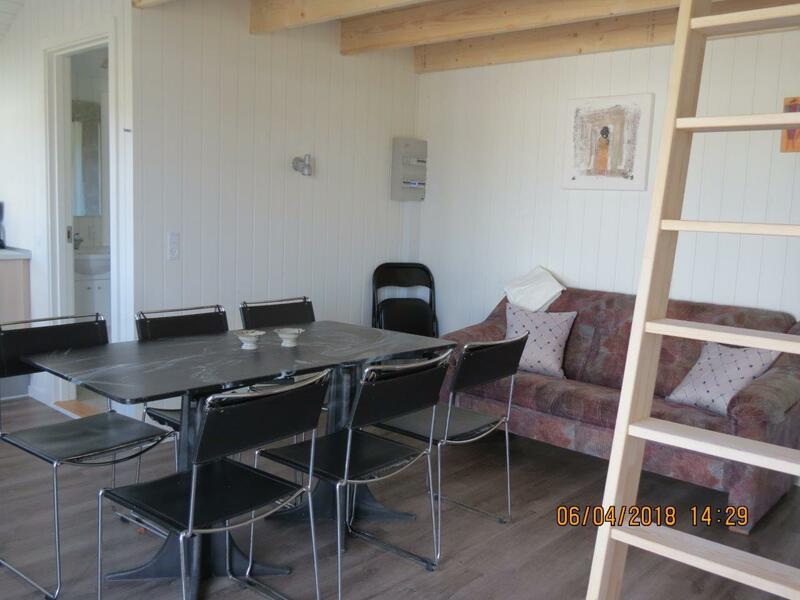 Holme Å Camping was started in 2002 and has all modern facilities with swimming pool, small private Krolf and (Golf) course, jumping pillow, moon cars etc. 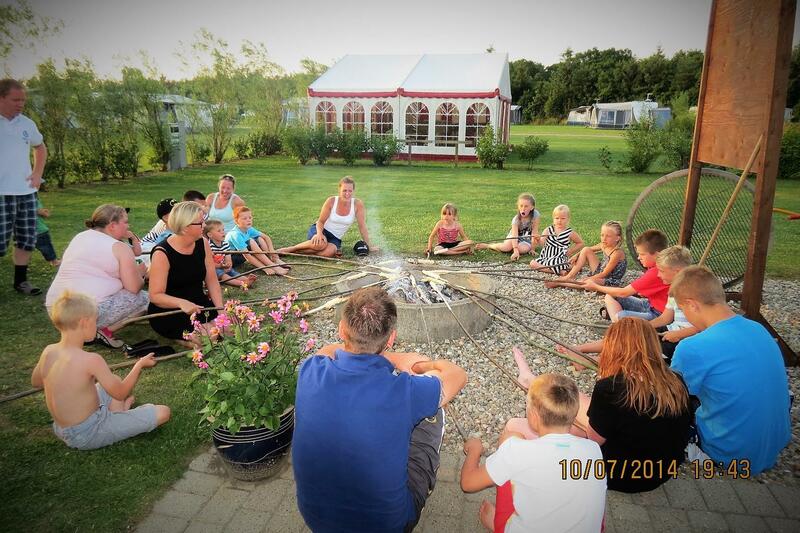 The campsite is located at the edge of Hovborg, halfway between Kolding (40km) and Esbjerg (40km), in a fantastic natural resort. 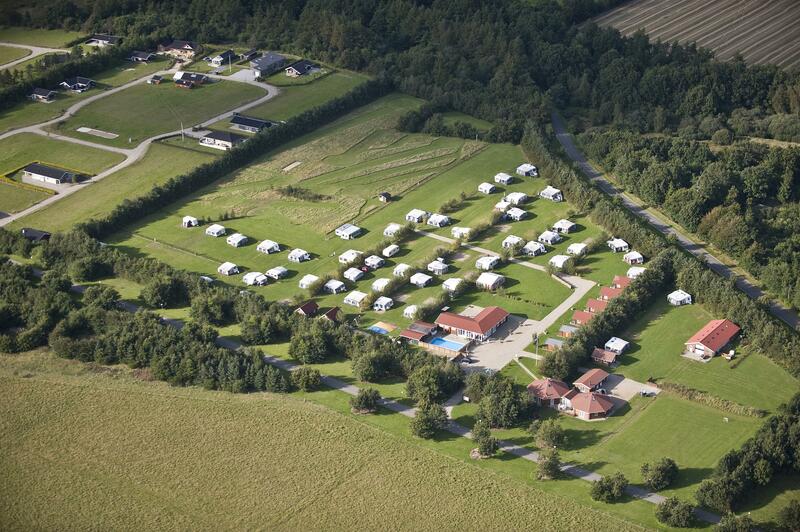 Just outside the campsite there is a lot of opportunities for fishing, here runs Holme Å, with Coast to Coast path who follows the river valley or in Put and Take lake 500m from the campsite, Within walking distance from the campsite there is not less than 3 large free-forest: Hovborg forest, Baldersbæk forest and Klelund forest. 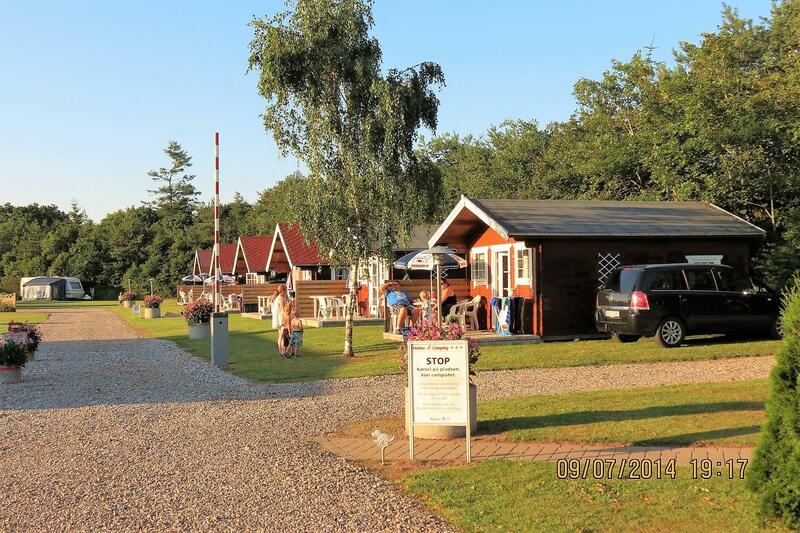 Klelund forest was in October 2010 formally to ”Klelund Deer Park", which offers unique nature experiences on the heath and in the forest. 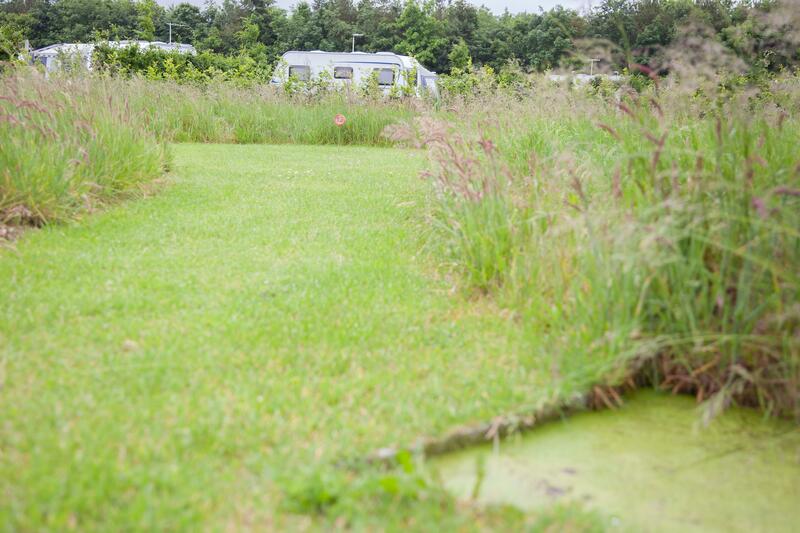 In the whole area there are many possibilities for walking and cycling trips and a variety of animal and plant life, including a very large population of red deer. 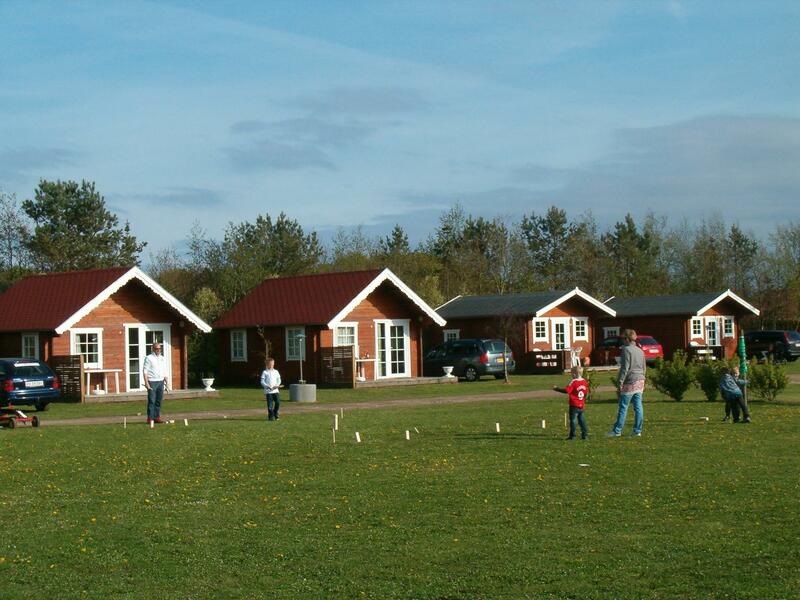 In addition, it is not far from Legoland, Lalandia, Givskud Zoo and Denmark's oldest town Ribe (35km) and many other attractions. 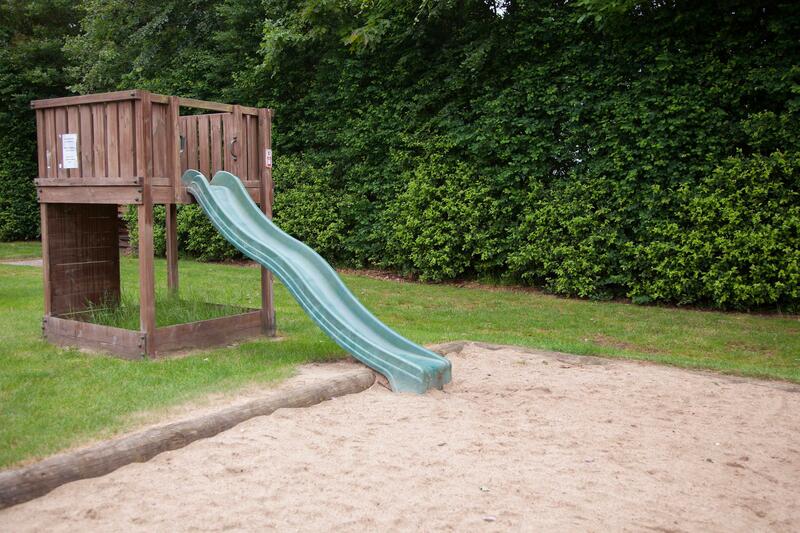 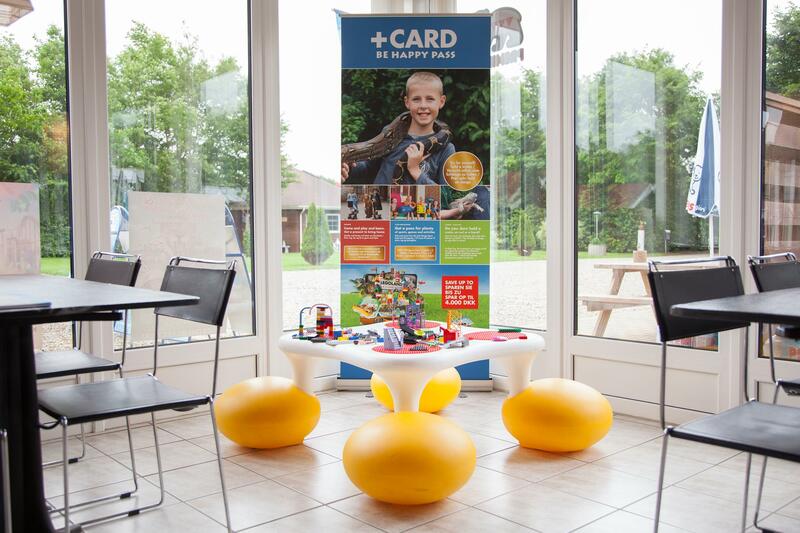 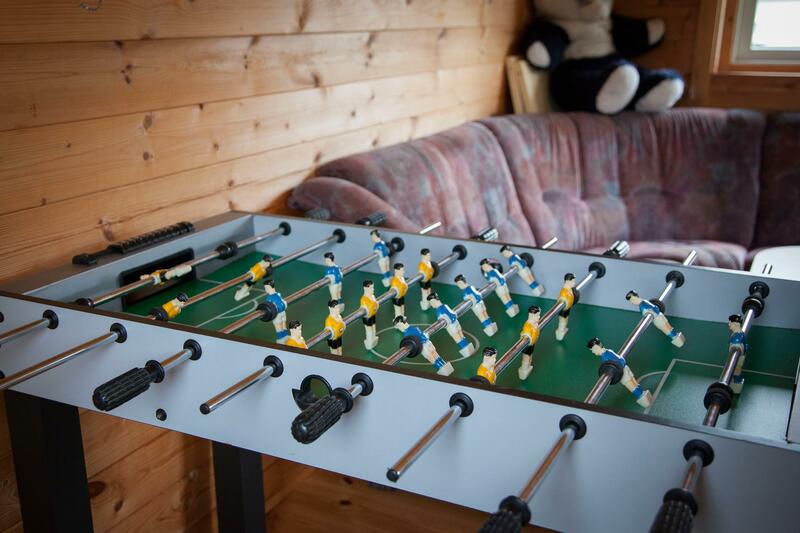 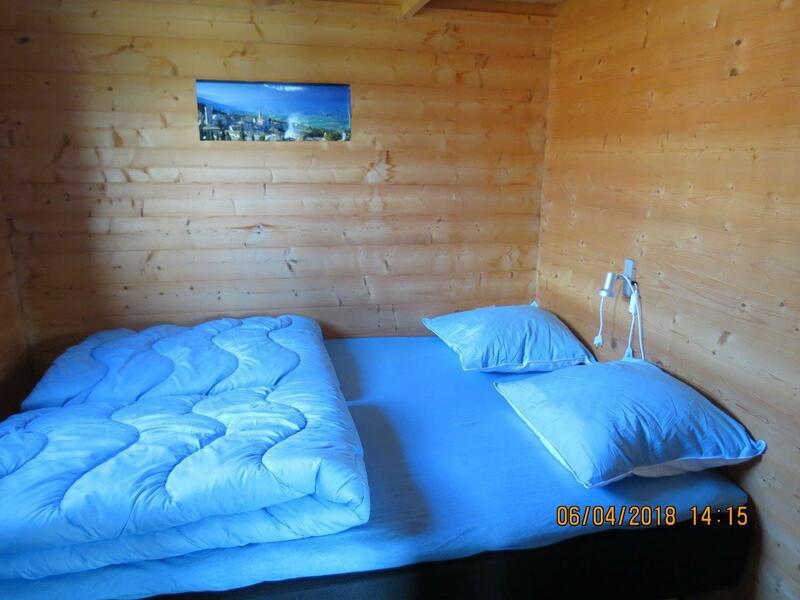 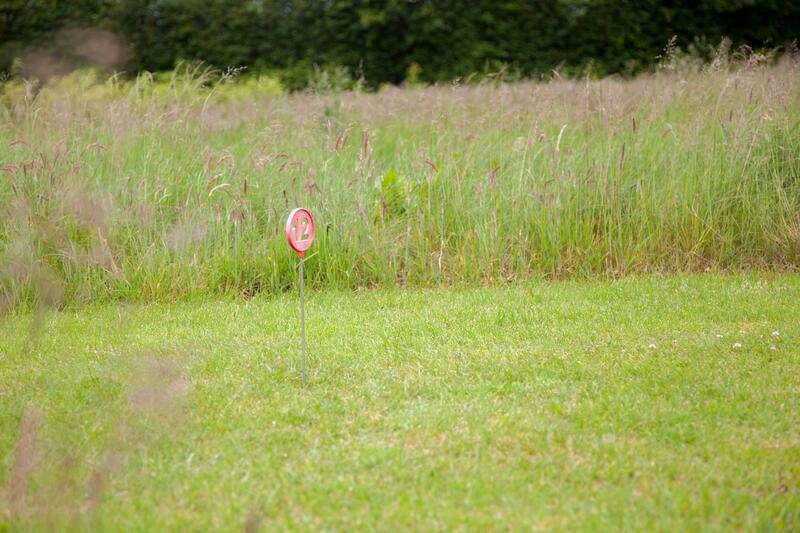 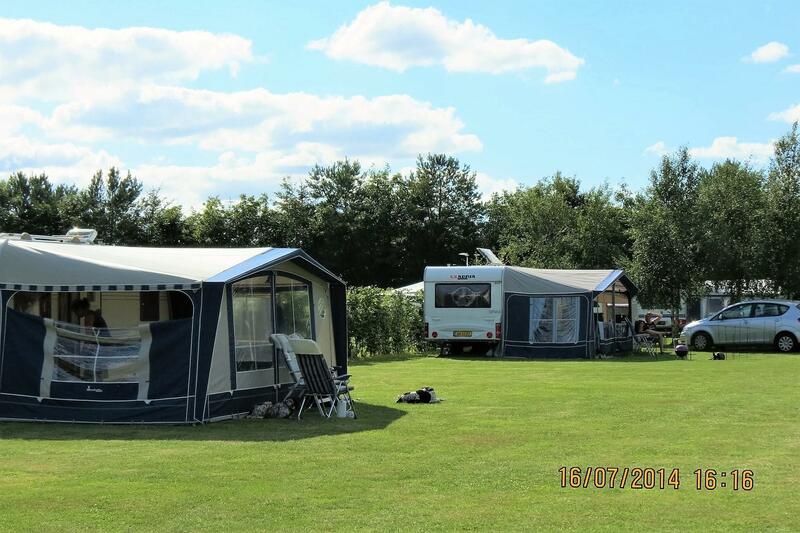 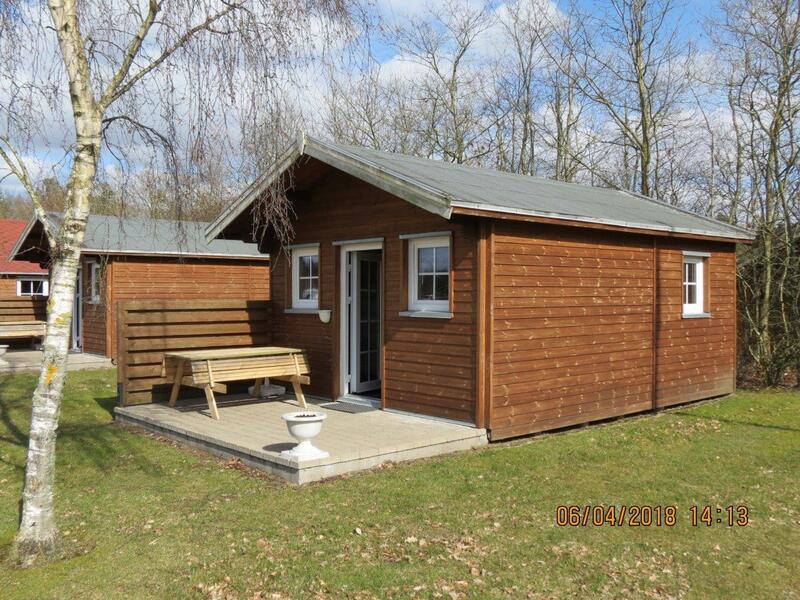 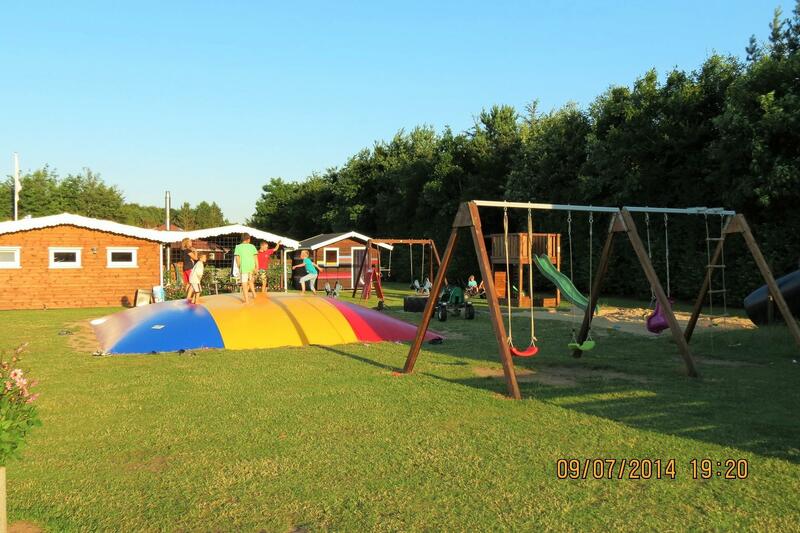 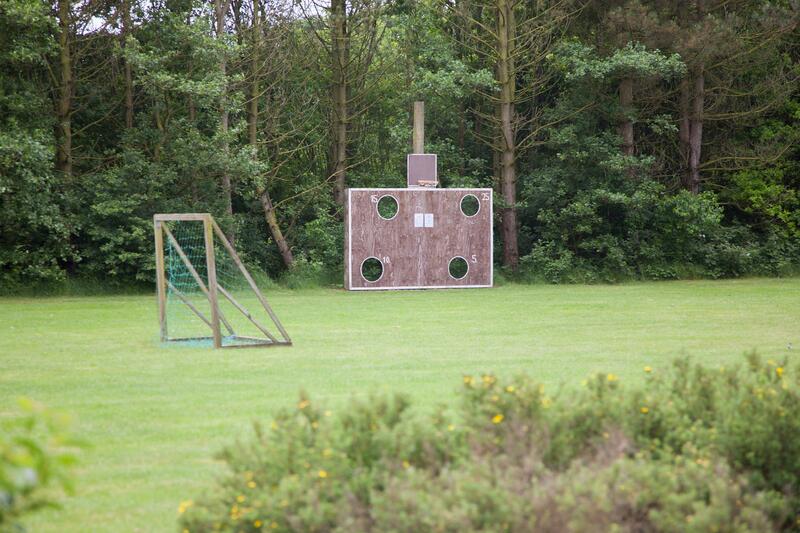 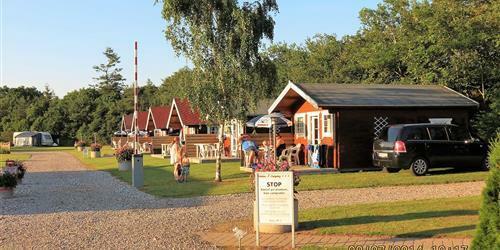 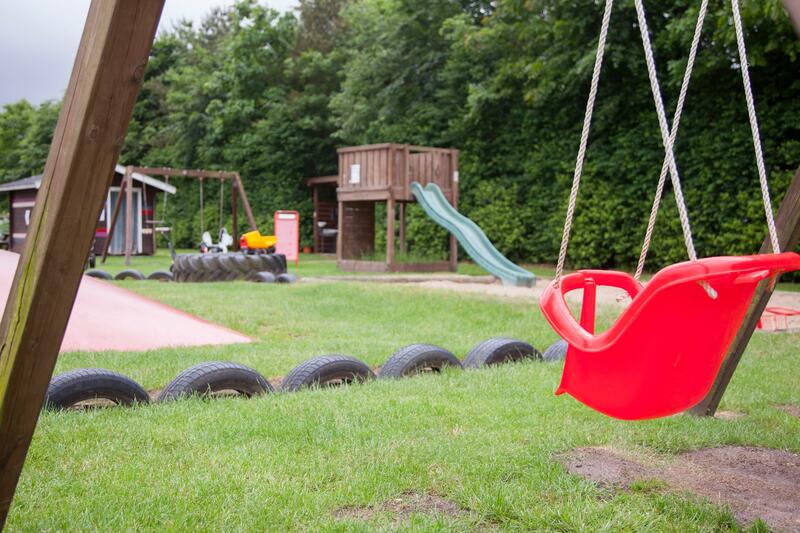 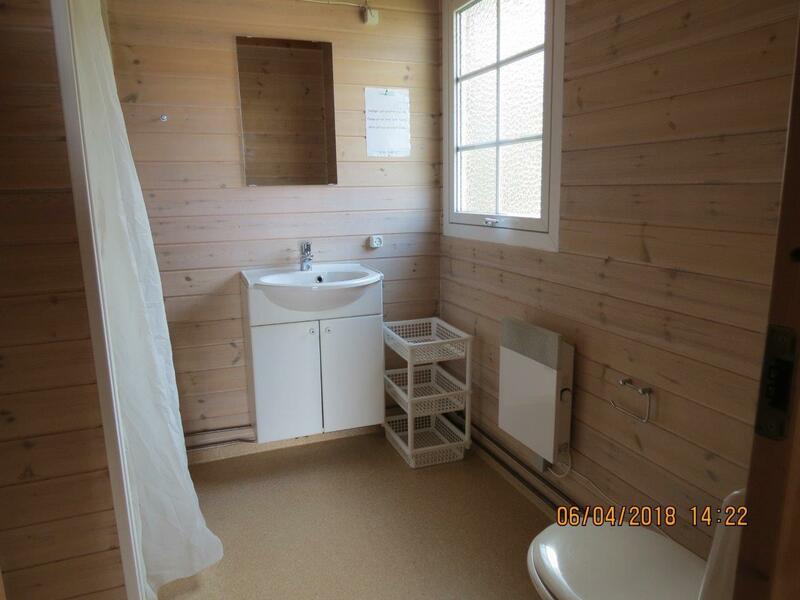 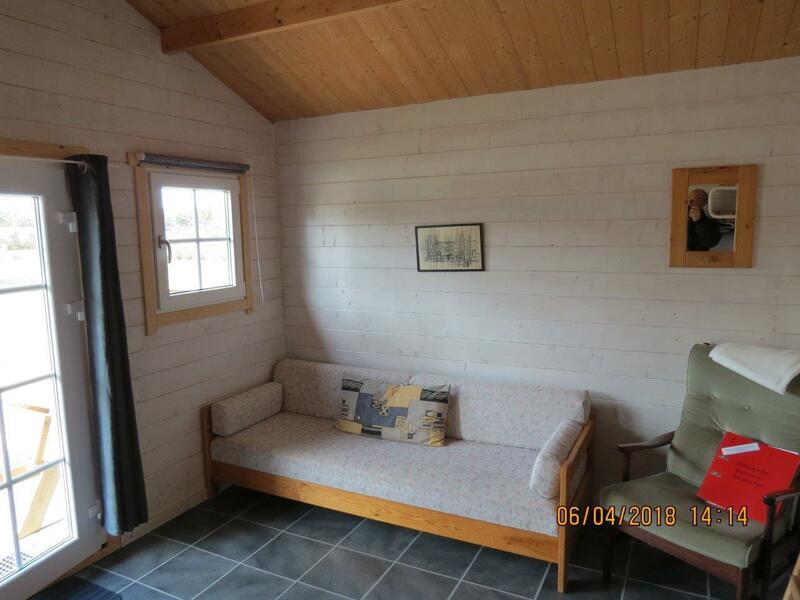 The campsite is a quiet family campsite with heated swimming pool to anyone who wants comfort and relaxation in quiet surroundings, but where also offered plenty of opportunities in the wild. 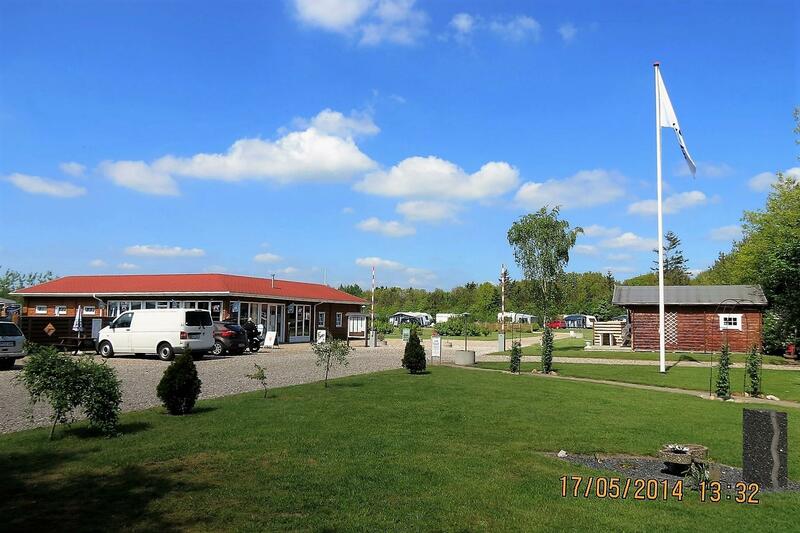 Electricity + heating: DKK 3,75/kwh (a consumption deposit of DKK 38,- pr. 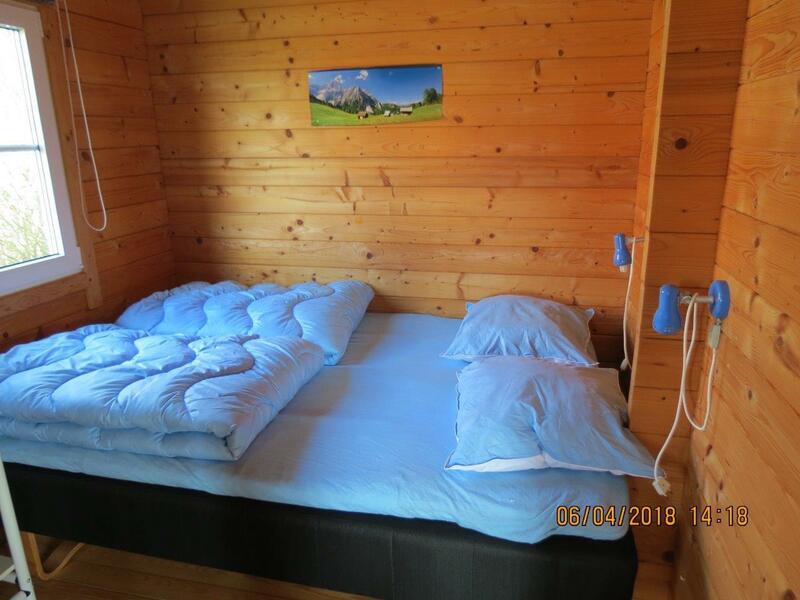 day will be charged on arrival). 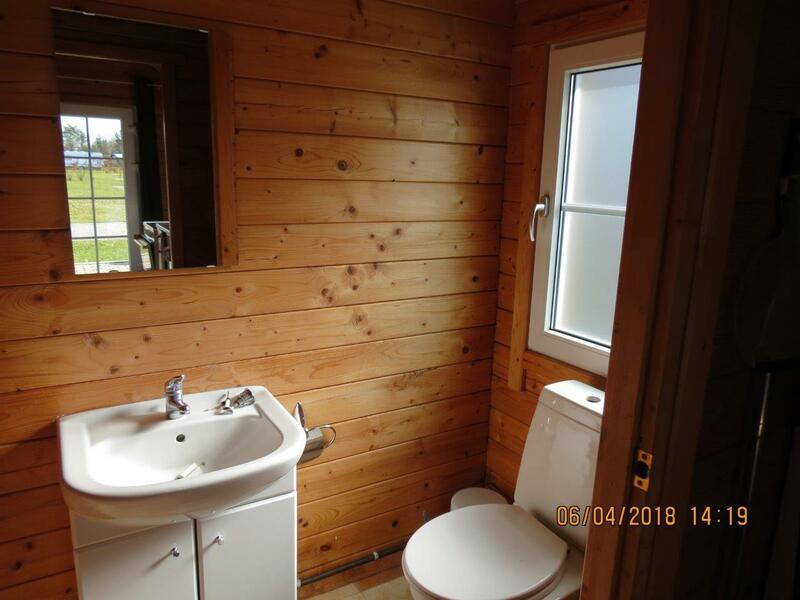 We look forward to bid you Welcome. 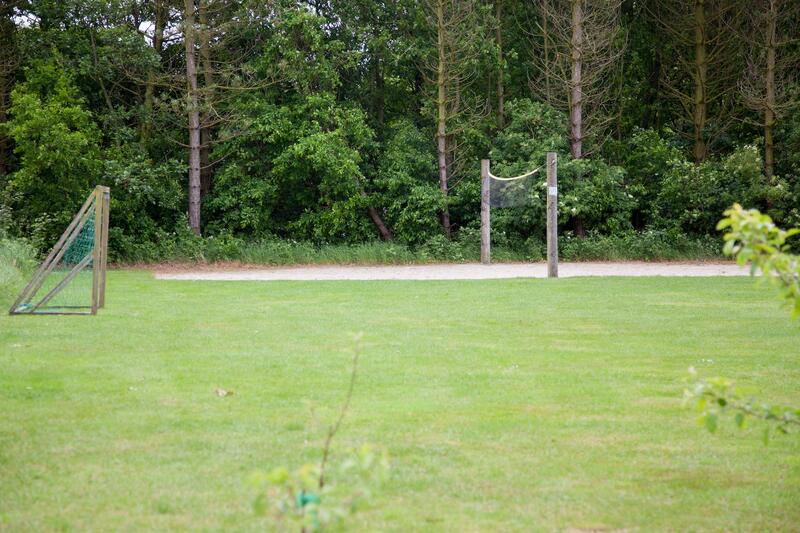 Arrival from 14:00 o'clock. 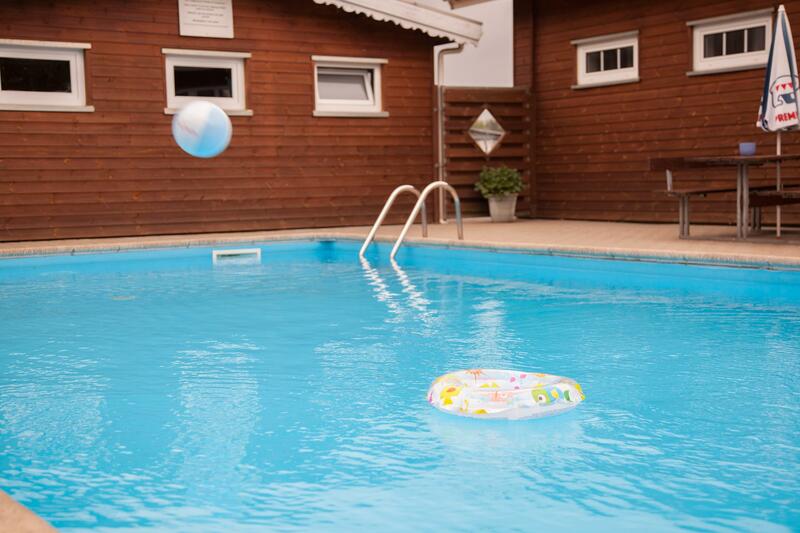 Departure no later than 11:30 o'clock. 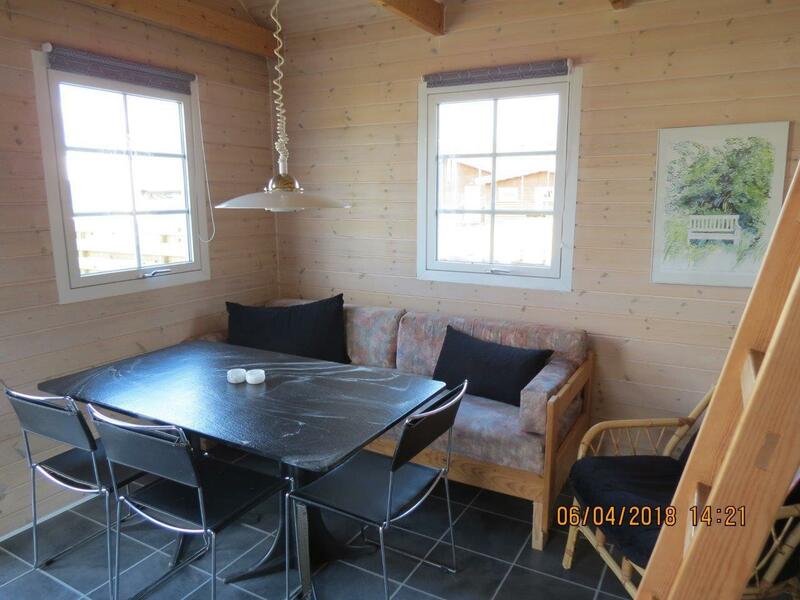 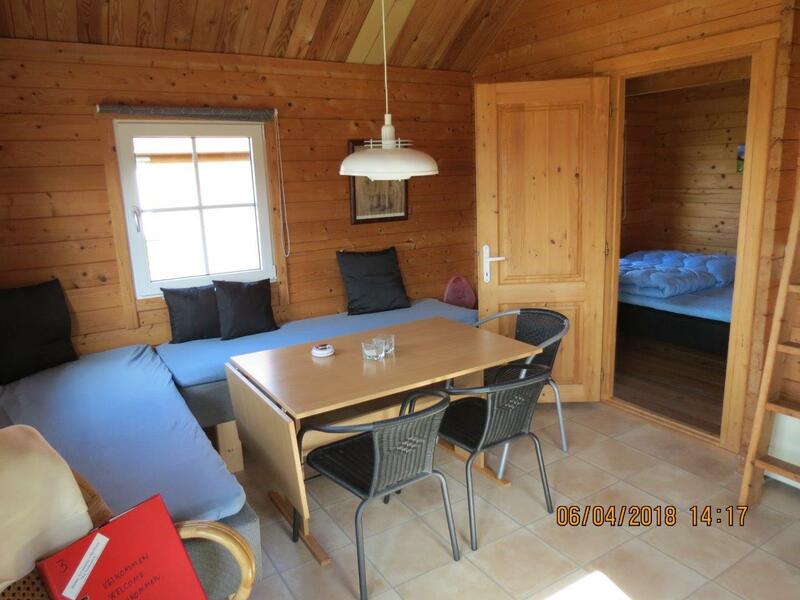 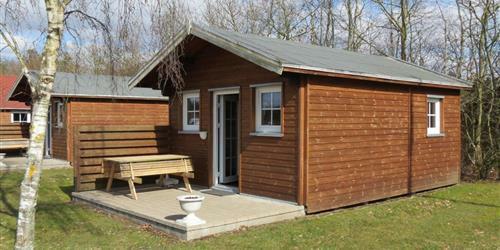 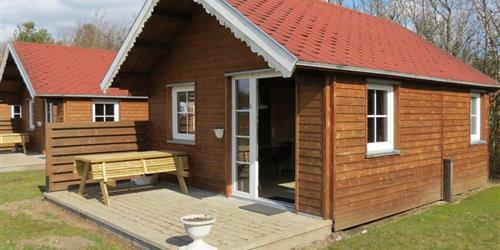 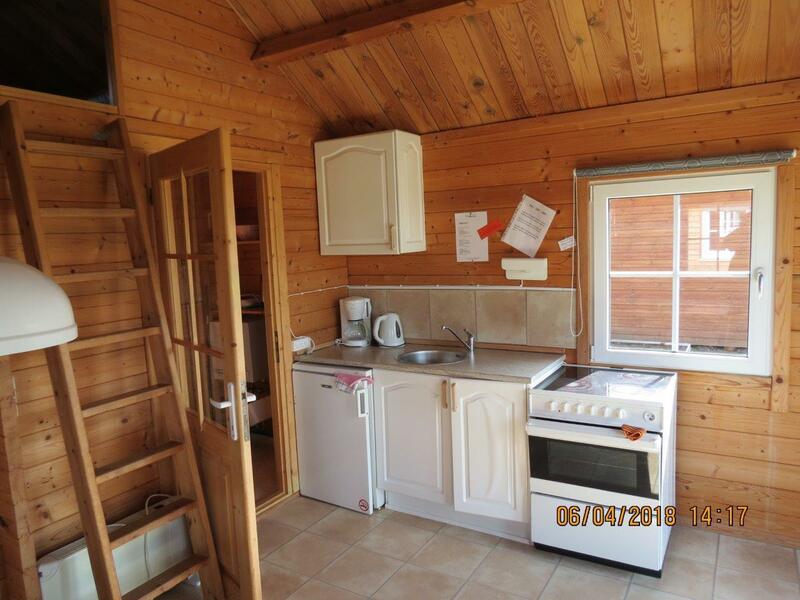 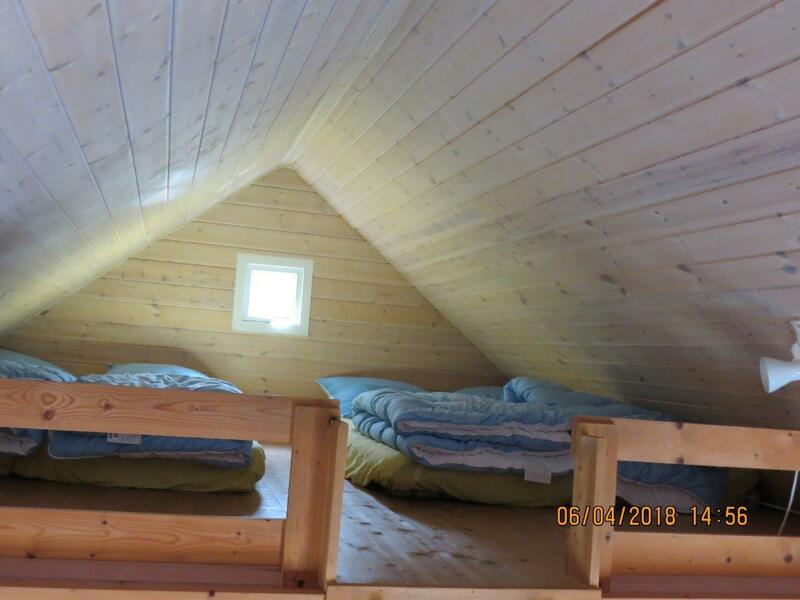 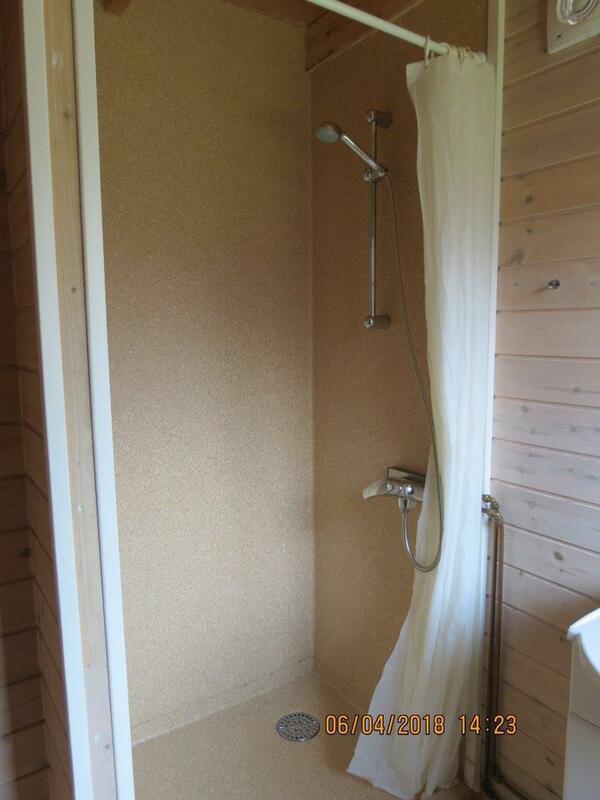 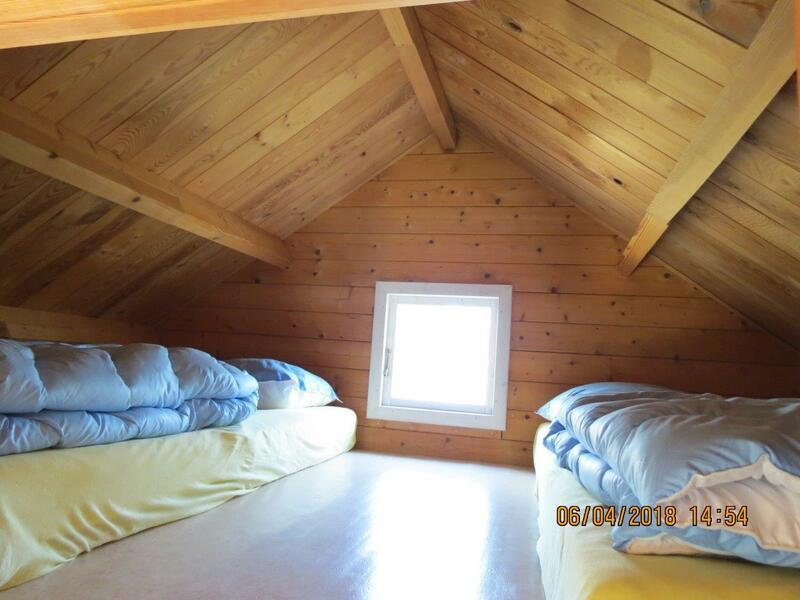 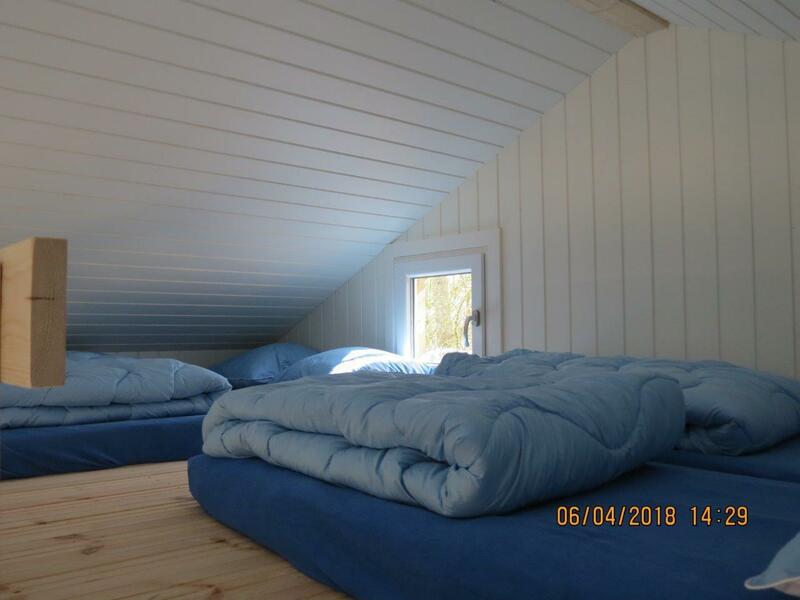 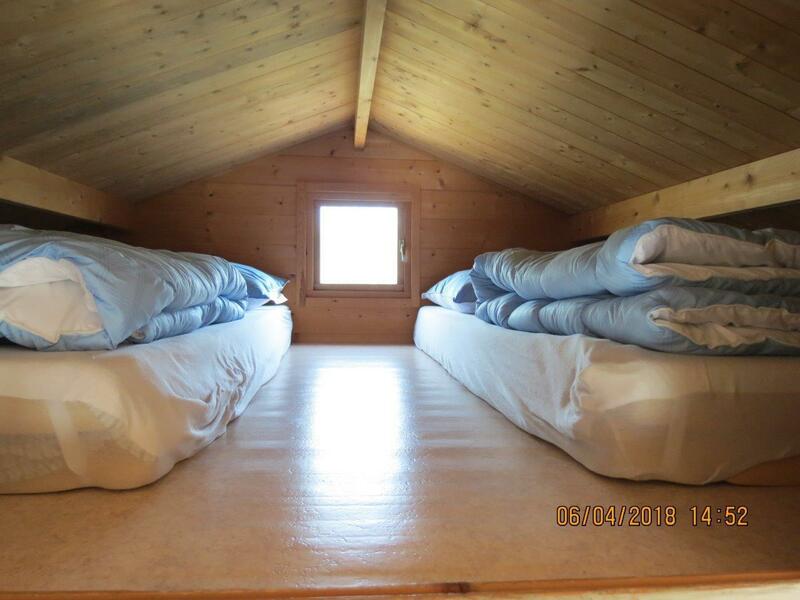 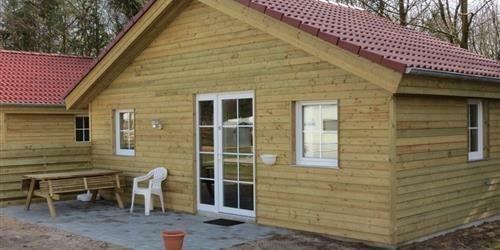 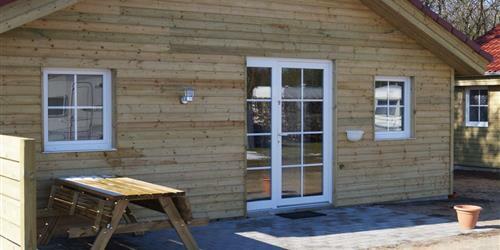 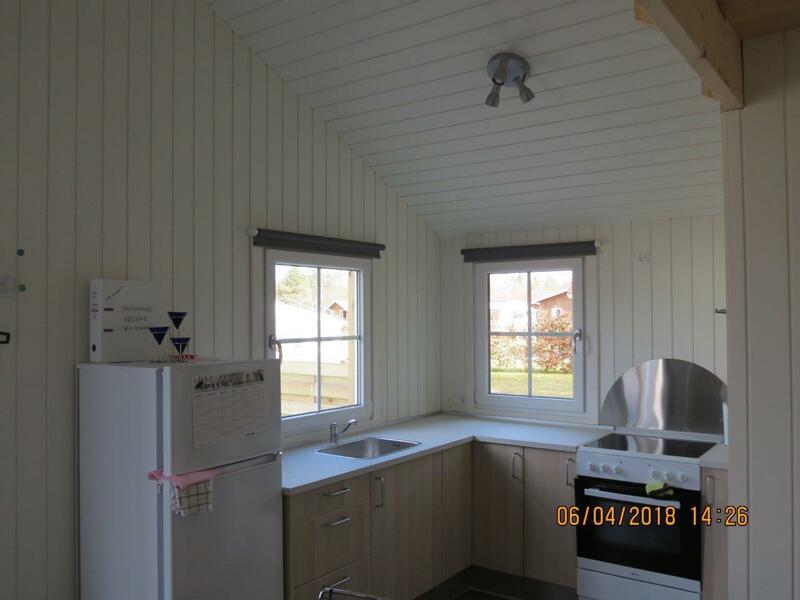 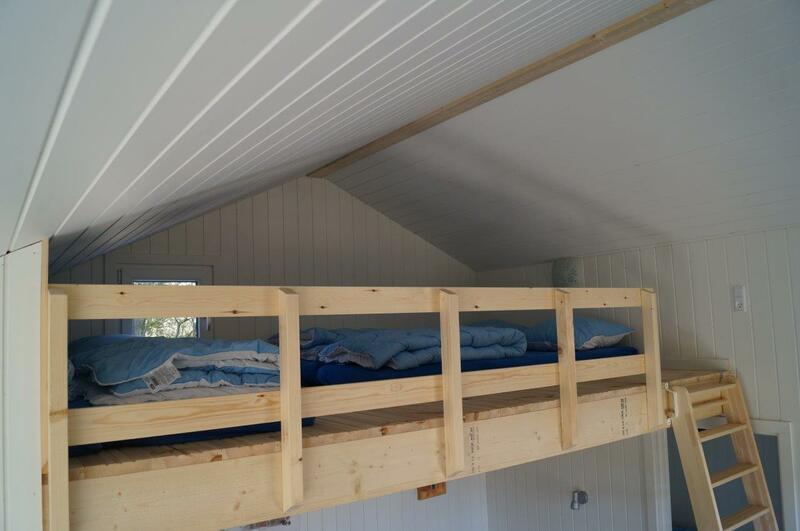 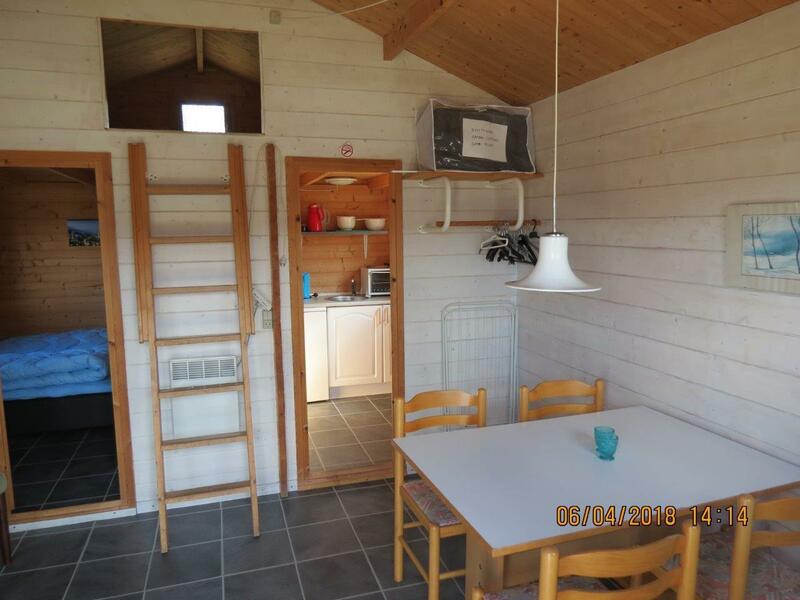 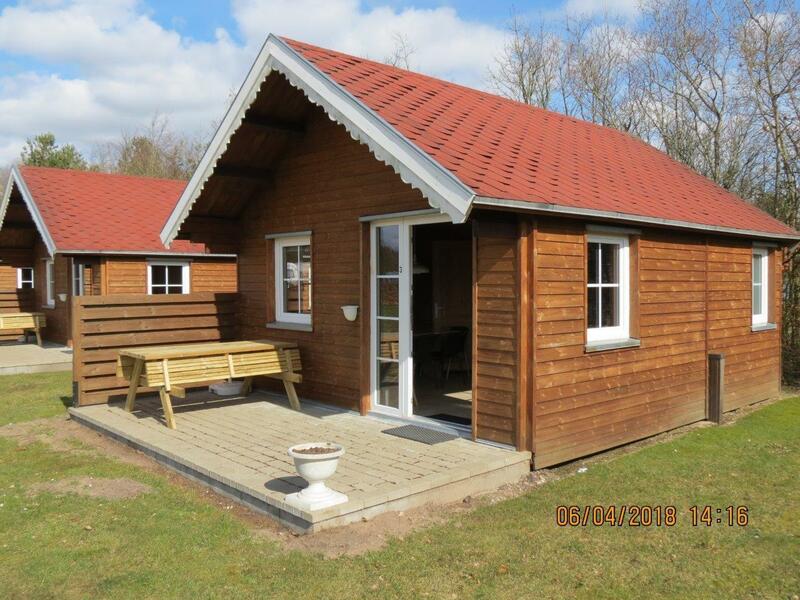 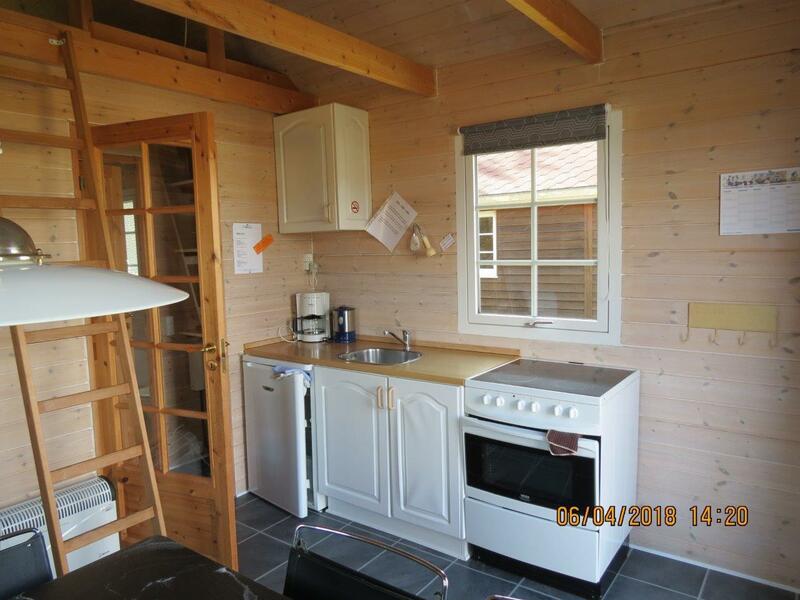 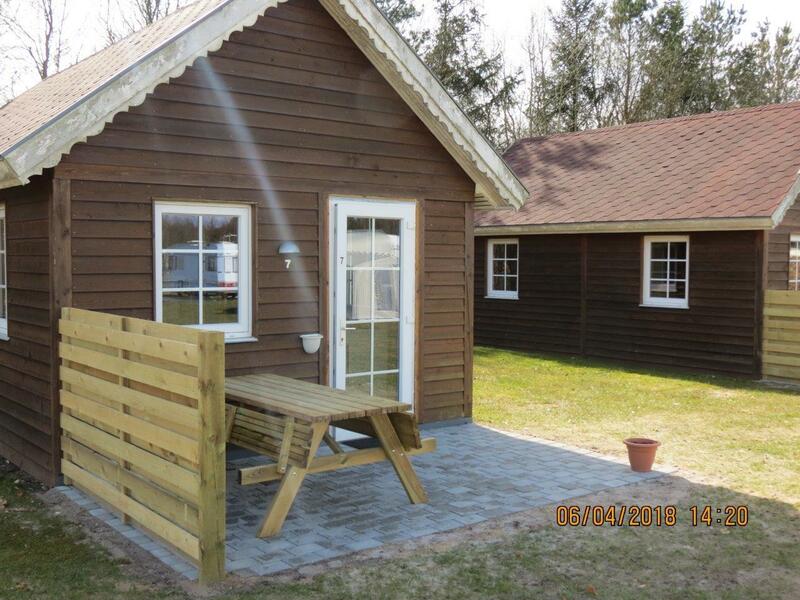 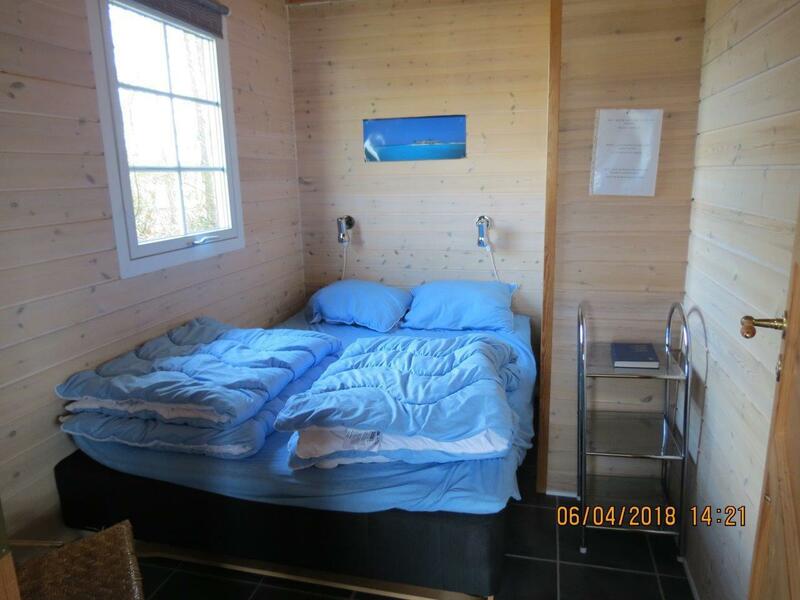 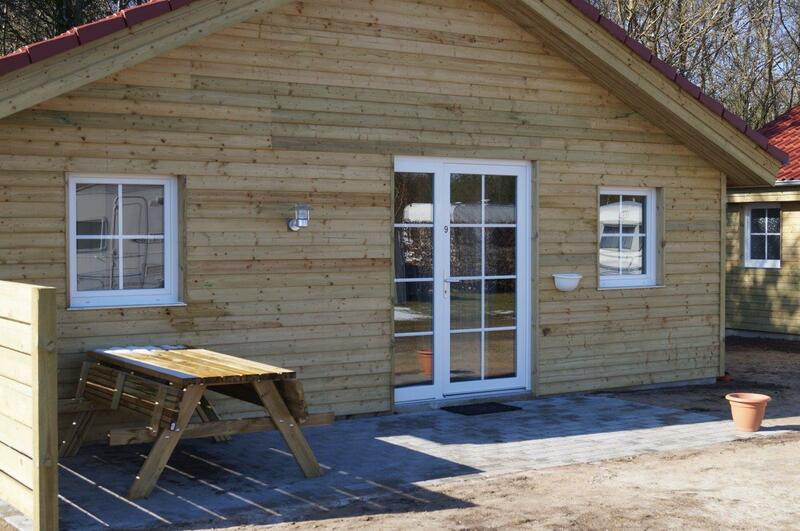 Brand new 35 m2 cabins with two bedrooms (3/4 beds / bunk beds) sleeps 4 loft, Kitchen Toilet and Bath with hot water. 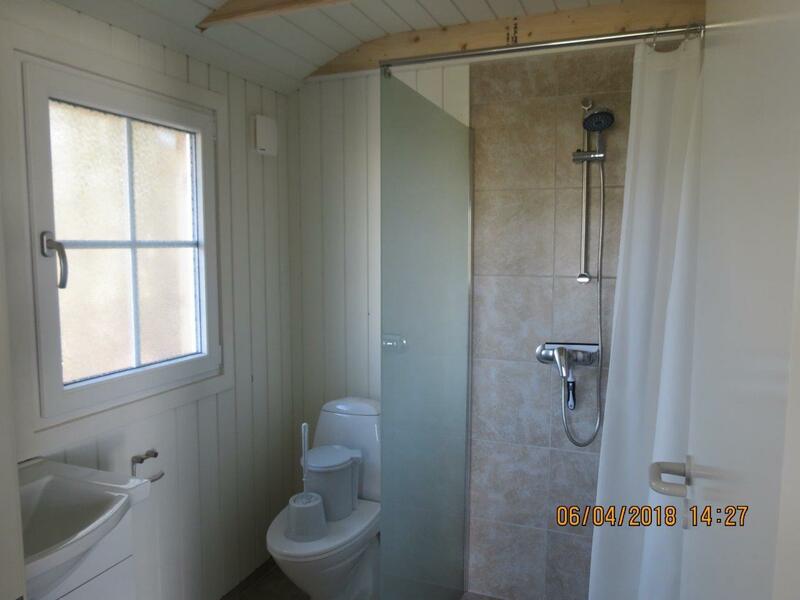 max 8 persons. 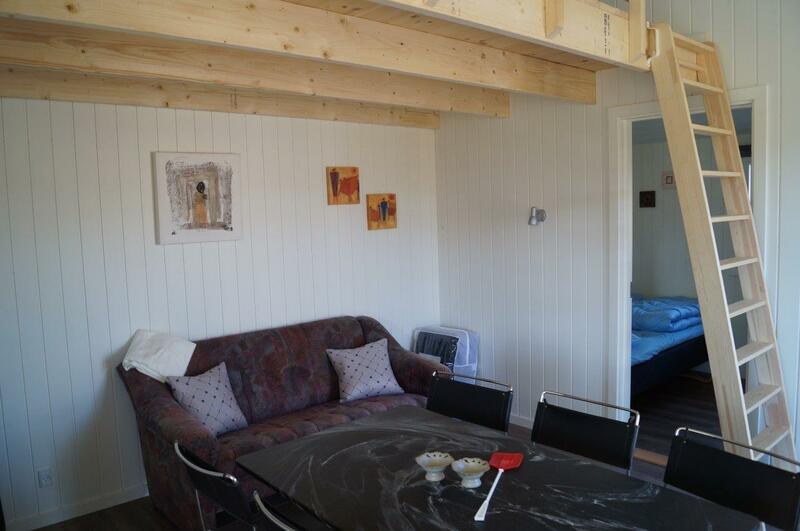 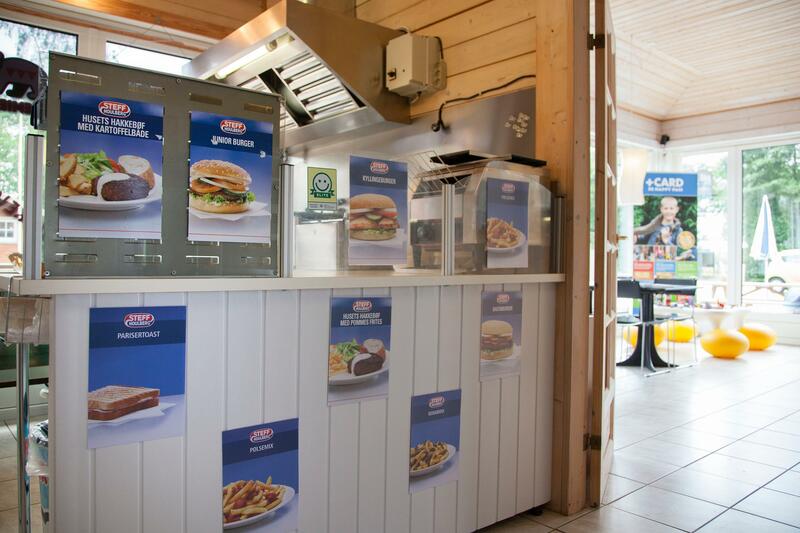 All cabins are equipped with service for 8 people, coffee maker, refrigerator, cooker, pots and pans. 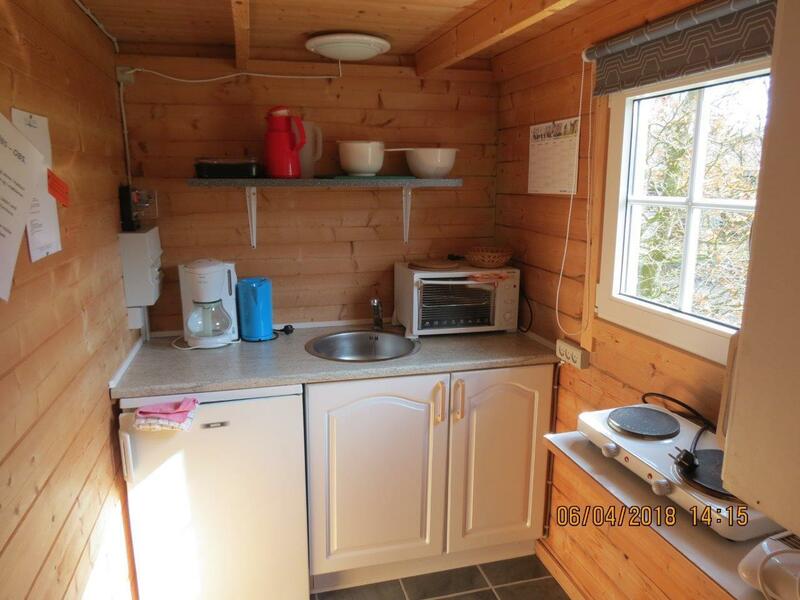 All cabins are equipped with service for 6 people, coffee maker, refrigerator, cooker, pots and pans. 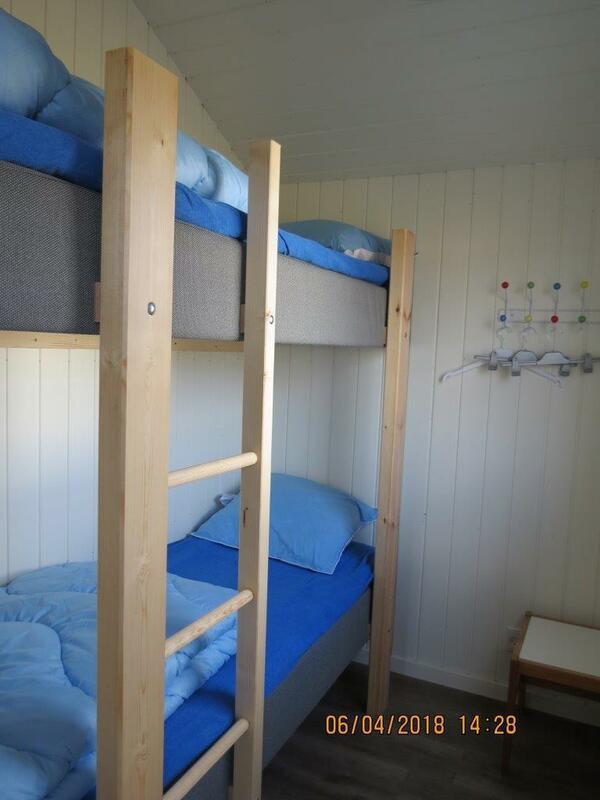 All cabins are equipped with service for 5 people, coffee maker, refrigerator, mini oven, pots and pans.